The Serbs seem to have an awful lot of Saints. The nation doesn’t seem overtly religious as a whole (though it does have a curiously large number of cool old monasteries), but my visits there do generally coincide with several days spent in reverence of one Eastern Orthodox Saint or another. Fortunately, the manner in which these Saints are revered isn’t exactly arduous. First and foremost there’s Saint Sava, the 12th Century thinker who founded the Serbian Orthodox church and is regarded as the father of Serbian literature and politics. 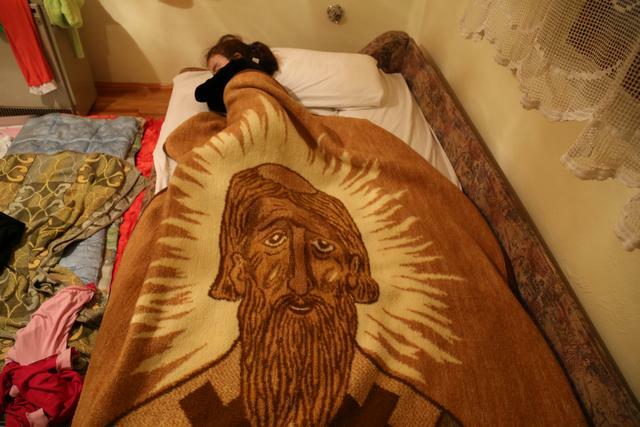 Saint Sava is also the Patron Saint of Serbian school children, and so (having miraculously appeared on a blanket in my mother-in-law’s house some years ago) fulfills his role as a protector of my daughter quite adequately whenever she visits. There is also Saint Nicholas, who doesn’t resemble Santa but is rather the Patron Saint and protector of the traveler. My in-laws were beyond ecstatic when my daughter happened to be born on the day of Saint Nicholas, because in addition to protecting her (we do travel quite a bit), Saint Nicholas also happens to be the Patron Saint of my wife’s family. Every Serbian family has a Patron Saint, who must be honoured by taking the day off work/school and partaking of a great feast, as is custom. Then of course there’s Saint Basil of Ostrog*. I have no clue what he did, but that name is just awesome. Most recently though was the day of Saint Elias. As with most of the others, this particular celebration is characterised by a staunch refusal to do any kind of work (I wasn’t even permitted to do my laundry), unless of course that work concerns the preparation of the great feast, as is custom. Stuff on a spit. 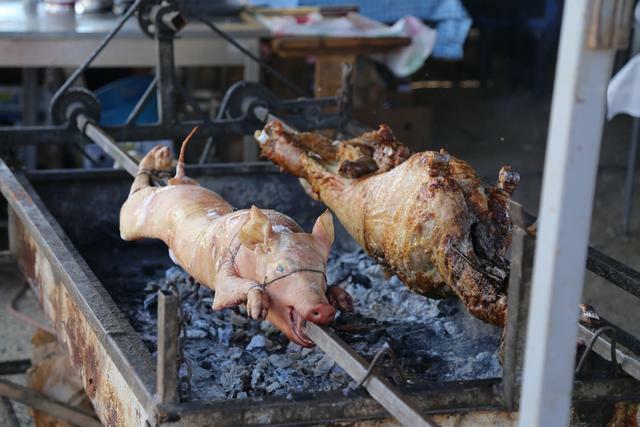 Serbs like meat… lots of meat. On those rare days not dedicated to relaxing in honour of a Saint, the Serbs find time to sit and chat with family and friends. As elsewhere in Europe this is paramount in Serbia, and the process is generally accompanied by coffee, cigarettes, superb food and of course the sljivovica (plum brandy). 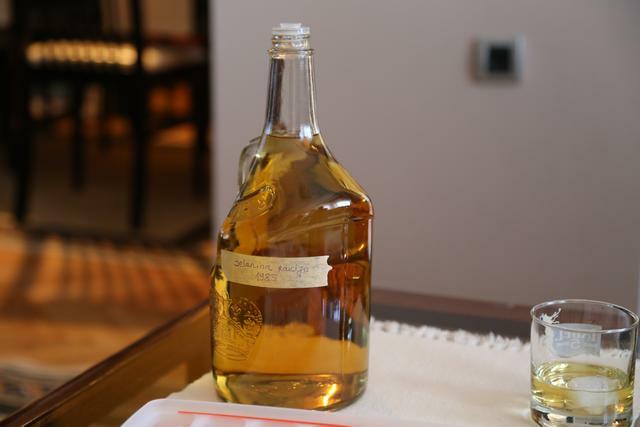 Produced from the national fruit, the ubiquitous Serbian rakia is best used for removing unwanted coats of paint, fueling rocket-powered vehicles and repeatedly toasting family and friends during relentlessly long and relaxing meals which may blend into each other due to time constraints (or lack thereof). For reasons unbeknownst to me (and I’m fine with this), your Serbian hosts may think the best time to commence drinking sljivovica is about ten minutes after you wake up. ‘It’s good for the digestion’, they might say. Perhaps it staves off Ebola, or crocodiles. Or, perhaps your wife told all the other Serbs that you enjoy a drink, and they just think its funny to get you hammered at breakfast time. Whatever the case, the national drink is home made with pride, by (as far as I can tell) pretty much everyone. The quality and alcohol content ranges of course, but generally it is around 300% alcohol and tastes like burning. *I was disappointed to discover that Saint Basil was actually called Saint Vasil (and shocked and appalled at Wikipedia’s slight inaccuracy). I’m just gonna call him Basil. 6 Comments on "Serbia: Saints and Sljivovica"
After sljivovica vodka may taste like voda (serbian for water) In that case it s’ good to have Serbs for the inlaws ! živeli ! This was an excellent article, Stu! Zivjeli! Saint stories are the best. The older ones are full of magic, like Jesus.